The first fourteen years of a child’s journey is very significant. The intellectual growth of a child happens during this phase. Only when critical thinking and problem solving dimension gains a critical mass, the physiological body matures. If I have to be more specific, by the age of three, a child’s ability to observe and analyze a particular situation, i.e. mental faculties, match 80% of an adult; by the time she is eight the match is 90% adult, by fourteen 98% adult. The question is, as an adult or a parent, how many of us do anything during this critical phase? What is the role of a parent during this critical phase of first fourteen years? Sorry to say, most of the childhood is neglected, as they count for nothing in a society. Not to offend any, but in the current context, working mother’s want to get back to work immediately after the child’s birth. Without office, they feel like fish out of water. 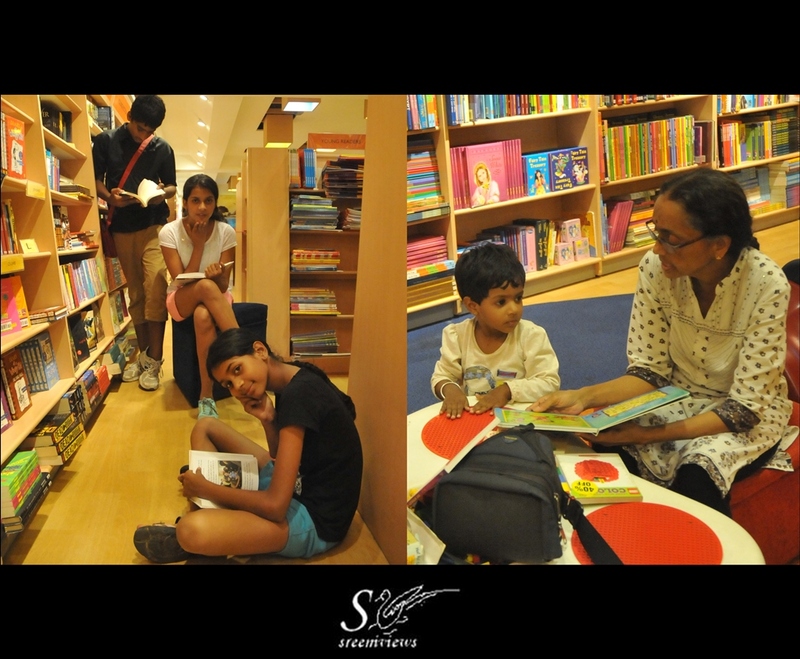 Since I have been in the education space and early childhood space is one of my passions, I invest a lot of time counseling a young mother about the significance of their presence in the first 4-5 years of the child’s life. The nuclear families have house-maids and nannies. Need to really think how this would really impact a child. Yes, crèches take care of the kids! But what impact does the crowded crèche leave on the child. I do many a workshops on parenting and facilitating a child. My sessions on ‘Multiple intelligence’ and ‘Enabling the leader in your child’ are most sought-after among the parents of school-going children. Will upload a couple of sessions online… But I just thought of sharing a couple of thoughts here…. Creativity is a casualty in our school education system. Performance in the exams, marks take such an importance, that everything else is left behind. So even critical thinking and analytical skills take a beating. It is all about rote-learning and vomiting in the examination hall. So parents and families really need to invest more time on building the ‘right brain’ – creativity and emotional intelligence. Only thing that we can give a child to really enable her excel, is time. Coming to time, any amount of time that we can give to a child is less …..
Will talk about other activities soon, that you could engage the child to excel…. till them invest time with books. Duality – Learning environments – The night and day, a photo by Vasu.. on Flickr. These photos are contrasted between the Madarasa for girls in Champaran, Bihar with Indus World School, Hyderabad. Even in adversity, the children in Madarasa were very involved. Over 150 girls studying under one small source of light, lit by a small lpg cylinder. Duality – Learning environments – boredom and wonderment, a photo by Vasu.. on Flickr. 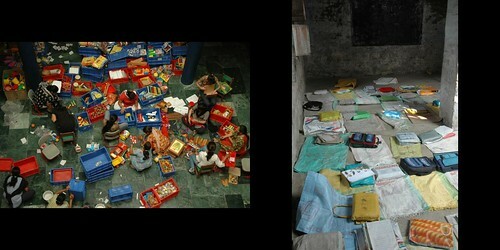 These contrasting photos are from different schools in Champaran district, Bihar. When we showed a short film on the laptop, the students were so eager to know about the contraption and much more. The curiosity is usually killed by the education system. Duality – Learning environments – scarcity and abundance, a photo by Vasu.. on Flickr. These two schools and classrooms are so contrasting for their abundance and barrenness. They are from Noida and Champaran respectively.